Another day, another rumour. Yet today’s has been provided by French website 01net, who previously correctly leaked the NGP technical specs ahead of Sony’s announcement regarding the hardware. Sources have revealed that popular development powerhouse Rockstar Games reportedly have dev kits for Nintendo’s latest home console, and are currently working on an entry in the Grand Theft Auto series that they hope to complete by launch – which we can presume to be the highly anticipated arrival of Grand Theft Auto V.
Whilst immediately shrouded in doubt, it isn’t entirely beyond belief. 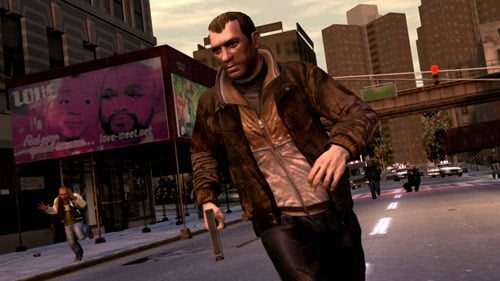 If the graphical prowess of the system were to even match that offered by the Xbox 360 or PlayStation 3 it would be plausible that Rockstar would be able to port a version that utilised Nintendo’s latest control scheme. Such a move by Nintendo is a concerted effort to regain the support of the core gaming community, and E3 2011 will see Nintendo unveil a series of tech demos for the console, alongside an expected release by June 2012. The prospect of such rumour certainly sounds fantastic, yet E3 certainly can’t come soon enough in debunking a lot of these “sources” that are recently cropping up.